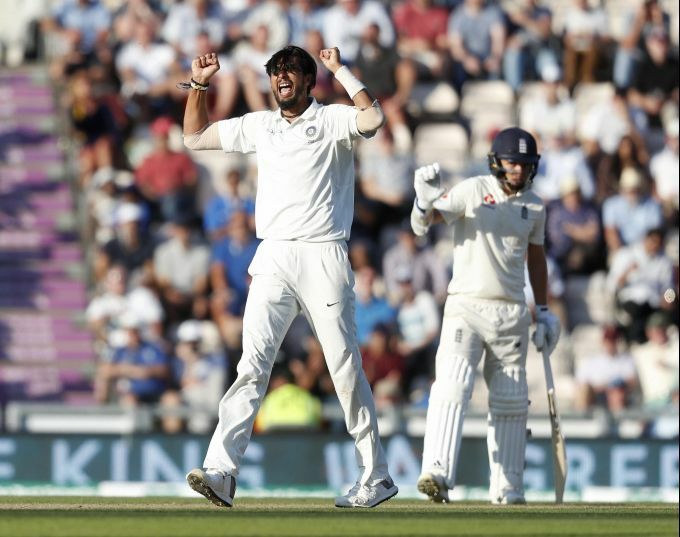 Southampton : India's Ishant Sharma celebrates taking the wicket of England's Jos Buttler lbw, during play on the third day of the 4th cricket test match between England and India at the Ageas Bowl in Southampton, England, Saturday, Sept. 1, 2018. England and India are playing a 5 test series. 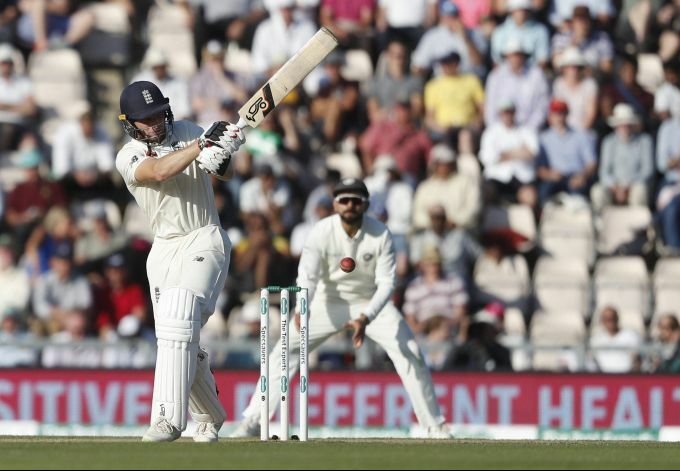 SouthamptonEngland's Jos Buttler plays a shot off the bowling of India's Hardik Pandya during play on the third day of the 4th cricket test match between England and India at the Ageas Bowl in Southampton, England, Saturday, Sept. 1, 2018. England and India are playing a 5 test series. 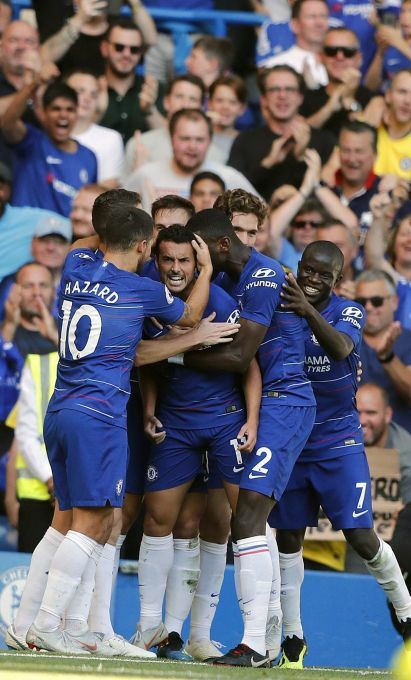 London : Chelsea's Pedro, centre, celebrates with teammates after scoring his side's first goal during the English Premier League soccer match between Chelsea and Bournemouth at Stamford Bridge stadium in London, Saturday, Sept. 1, 2018. Jakarta : Gold medalist Japan team celebrate during ceremonies at the men's hockey at the 18th Asian Games in Jakarta, Indonesia, Saturday, Sept. 1, 2018. 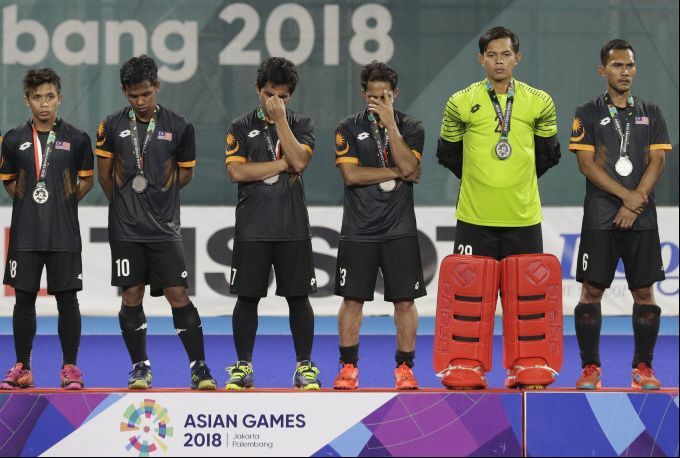 Jakarta : Silver medalist Malaysia react during their men's hockey at the 18th Asian Games in Jakarta, Indonesia, Saturday, Sept. 1, 2018. 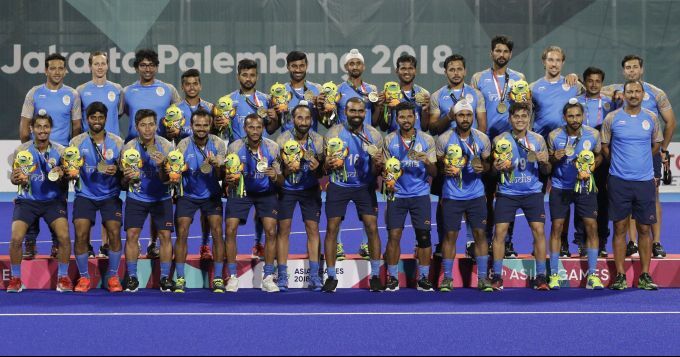 Jakarta : Bronze medalist India poses during ceremonies at the men's hockey at the 18th Asian Games in Jakarta, Indonesia, Saturday, Sept. 1, 2018.